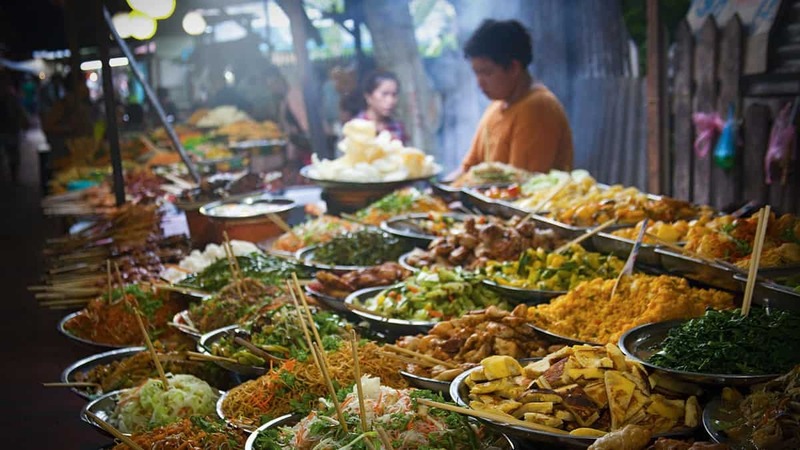 If you’re looking to dig a little deeper into Bangkok’s culture and art scene while visiting Thailand, you’re in luck as this bustling city has so much more to offer than just Khao San Road and bargain shopping! In recent years, Bangkok’s art scene has exploded with museums, galleries and small exhibitions popping up all over the place. 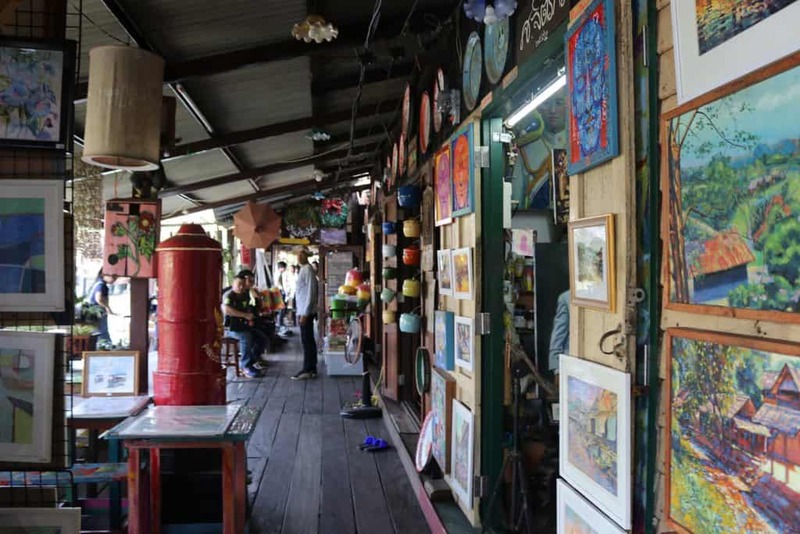 One such residence is The Artist’s House in the Thonburi region, Bangkok’s former capital. What is The Artist’s House? 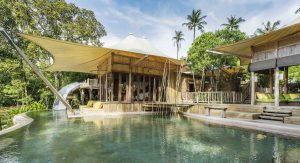 The Artist’s House is a creative community space where locals and travellers (mostly locals) come to enjoy art in a variety of mediums. From painting and portraiture, to pottery and puppetry, The Artist’s House has an amazing atmosphere with such a vast array of artwork that you won’t be disappointed. Housed in a traditional wooden house that is over 200 years old, The Artist’s House has been restored to perfection and is the ideal place to find a slice of serenity in the city. 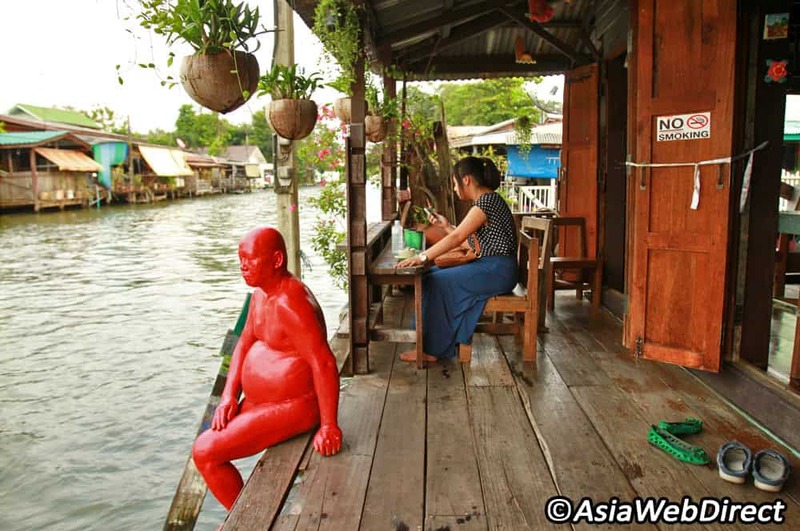 Some of the quirky works of art at The Artist’s House include the human-sized statues painted fully in white, red or black that lurk on the banks of the canal seemingly watching passers-by as they float down the river. While at first they may seem a little creepy, they are thought to represent the ghosts of previous residents whose lives were spent simply regarding their surroundings rather than living the buzzing daily lives we do now – interesting! Not only can you admire the artwork on display here, but you can also try your hand at sketching or painting your own piece alongside fellow artists seated at the wooden tables dotted around the house. It’s hard not to be inspired by this tranquil canalside location, so get creative and explore your artistic side. You can bring your own materials or purchase sketchbooks and pencils from the gift shop. Speaking of which, the gift shop at The Artist’s House is one of the best places in the whole of Bangkok to buy unique souvenirs for friends and family back home. 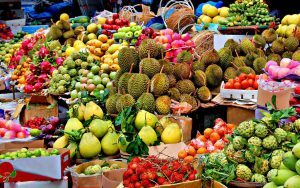 Rather than the ‘same same but different’ gifts that every other stall in the city is selling, The Artist’s House shop sells hand-painted postcards, whittled handicrafts and silk goods that are truly one of a kind. This is the best bit, a visit to The Artist’s House is free – music to the ears of those travelling on a backpacker’s budget! While donations are accepted (especially for the daily puppet show), they are not obligatory so you can choose to give as much as or little as you like. This allows you to save some all-important baht for gifts and artwork in the shop! The closest BTS Skytrain Station to The Artist’s House is Bang Wa but this is still around 20 minutes from your final destination. Walk or catch a tuk-tuk/motor taxi, following a handful of small signs along the way. 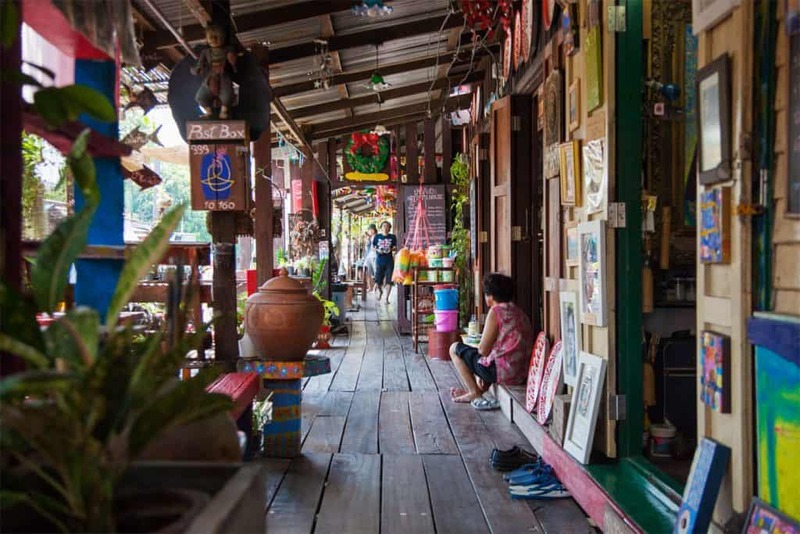 The Artist’s House is also known as Baan Silapin and Klong Bang Luang so if you’re having trouble finding it you may want to write these down to ask locals en route. The Artist’s House sits on the khlong (or canal to you and me) so it boasts a really peaceful position from which to relax and become inspired. Despite its quiet location, however, The Artist’s House has plenty of local cafés and restaurants in and around the house, such as Ran Krua Kan Aoy where you can grab some spicy Thai soup while overlooking the water.While it’s certainly not boozing on Khao San Road, visiting The Artist’s House is a great way to spend a relaxing day getting in touch with your creative side. 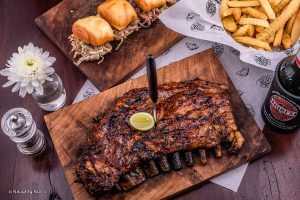 Plus, this is an experience that most backpackers miss during their time in Bangkok so you can say you’ve done something a bit different – how very high brow! Sweet. Sour. Hot. 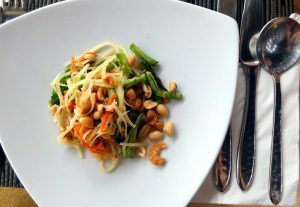 Thailand’s Som Tum Papaya Salad.